Follow the signs when approaching Terrebonne from either direction. The Rock can be seen well from the highways. 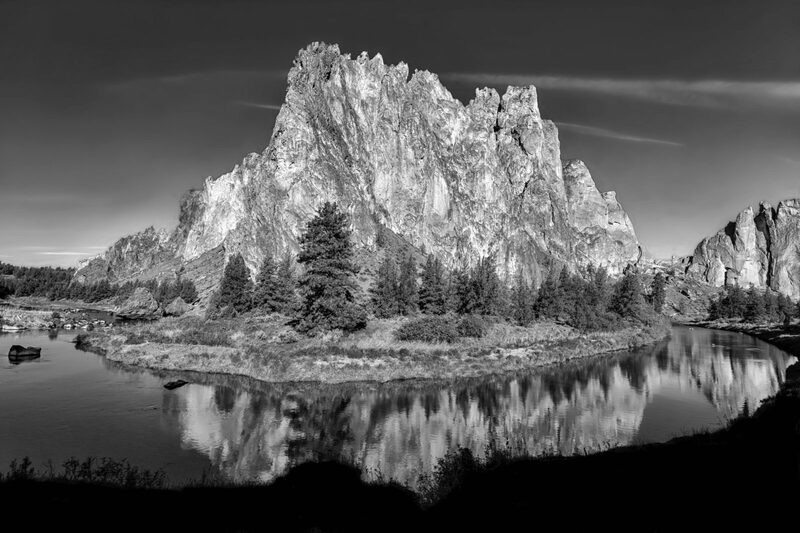 First light on Oregon's Smith Rock, reflected in Crooked River.